THE BAHIA HOTEL & SUR BEACH HOUSE are the perfect setting for SIP CABO. 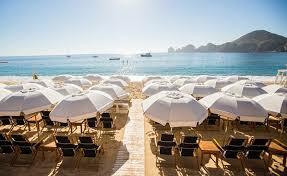 Both The Bahia & The SUR Beach House are located in the heart of CABO with The Bahia located just 40 paces from the Cabo white sand & The SUR Beach House sitting directly on top of that white sand with an absolutely stunning view of the Sea of Cortez and the iconic Arch of Cabo San Lucas! In addition to these incredible locations The Bahia also houses one of the most brilliant restaurants in the world, BAR ESQUINA, which translates to Corner Bar. Bar Esquina is without question a second to none dining experience & when put together with The Bahia Hotel & The SUR Beach House you have a Songwriters In Paradise you do not want to miss! Here Are A Few Pics of Our Beautiful Host Venues The Bahia Hotel, Bar Esquina & The SUR Beach House.